I have been looking for the best jeans for my kids that are cost effective yet durable since my kids play hard. After searching high and low I have ranked the best jeans for your money. 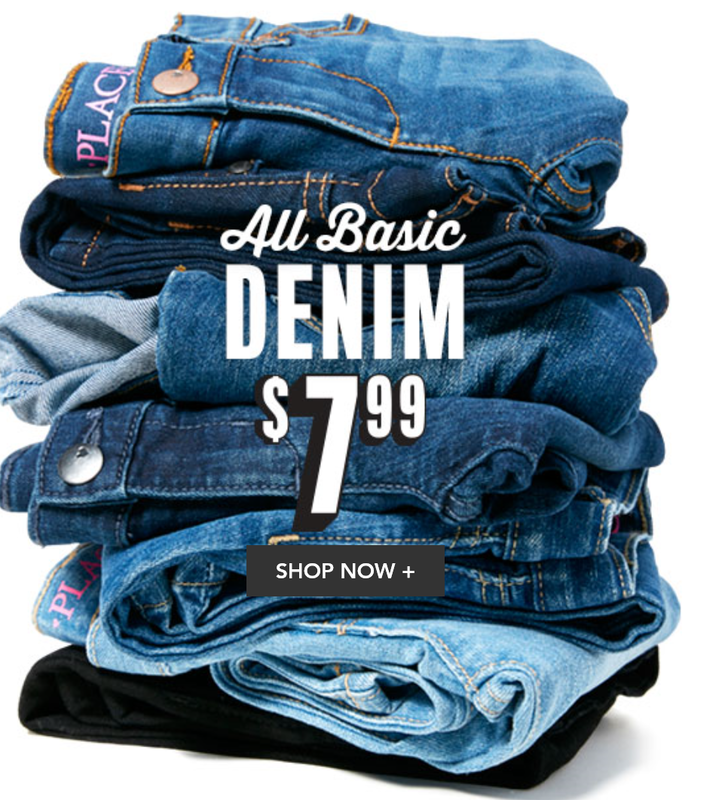 The Children’s Place – they have jeans that are $7.99 pretty much every day of the week. They claim it is a “sale” price yet the sale never ends. They have skinny, straight and bootcut pants options which are good for kids of all sizes. My son is very skinny and the slim jeans fit him rather nicely. They aren’t too tight and they aren’t too baggy. For the price of $7.99 it can’t be beat. H&M – if you have an H&M near you they are the 2nd best option. They provide the slim look that all the kids are crazy about these days and they are only $9.99. Old Navy – everyone pretty much has an Old Navy close to them. The sale price of their jeans typically falls right around $10 but you must catch them at the right times. Like The Children’s Place, they offer the different styles that will fit your kid just right. Crazy 8 – what I like about them is their Rockstar jeans. They have the perfect fit to them and my son looked absolutely amazing in them, he even won best dressed at his football banquet when having them on. What puts them at number 4 is only because of the higher price of $12 which isn’t really even high at all. For my parents with kids out of the child sizing (5-14) I believe one of the top stores for girls is Forever 21. They have skinny jeans that come in at the low low price of $7.99. You aren’t going to find that price for adult jeans anywhere. For those with the older boys, I will have to recommend Old Navy as they tend to have more sales than most places and the jeans are offered in multiple styles. If your child likes the distressed look you can also easily YouTube how to do it yourself so you aren’t paying an arm and a leg.